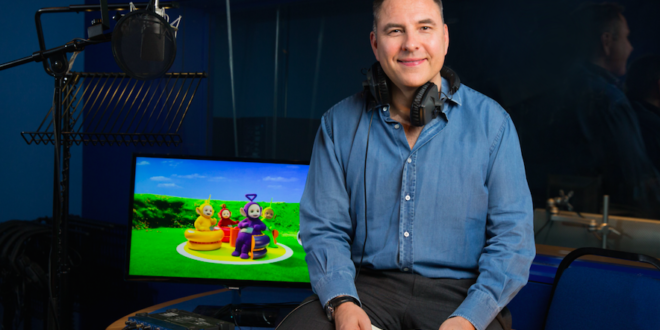 Comedian and author David Walliams is the latest British star to join the voice cast of the hit pre-school series Teletubbies. Walliams is joined in the recently revealed new line-up by singer and TV presenter Rochelle Humes, alongside the existing cast starring Jim Broadbent, Fearne Cotton, Jane Horrocks, Daniel Rigby and Antonia Thomas. The two newcomers will feature in the second series which will air on CBeebies in Spring 2017, joining as the series celebrates 20 years since its original launch to British TV. 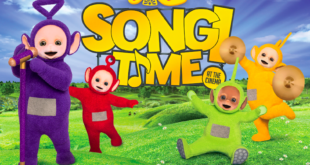 The second season of the show will introduce a number of new elements including a new area of Teletubbyland called the Hidey Hup, a hidden glade containing equipment for physical Teletubby fun such as the Tubby Bouncy, Tubby Slidey and Tubby Spinny. A new Teletubbies car, Circus and a special Tubby Custard Ride carriage for The Noo-noo will also feature. 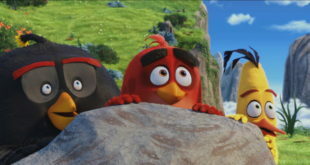 CBeebies controller, Kay Benbow, added: “We are thrilled to welcome David and Rochelle to join the fun in Teletubbyland. 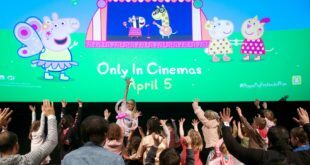 The award winning UK production company, Darrall Macqueen is producing 60 more episodes of the iconic show for DHX Media and CBeebies, making a total of 120 episodes across the two series.